On Wednesday, October 15th on the occasion of the paperback release of FROM SCRATCH: THE UNCENSORED HISTORY OF THE FOOD NETWORK, Allen Salkin will be speaking with acclaimed author and TV personality (who is featured in Salkin’s book), David Rosengarten on the relaunch of his beloved Rosengarten Report, sharing stories from the hottest kitchens–to hottest TV studios. Their dialogue will be moderated by Ideasmyth’s Creatrix-in-Chief Victoria C. Rowan, who will pepper these two for more insider info than could fit into the book–and there are sure to be surprise tasty bits not listed on the menu. The Manny Cantor Center rooftop’s breathtaking view is a fittingly glamorous venue to sample Louis Royer’s (kosher!) cognac and other delightful refreshments. Tickets available for purchase at Eventbrite here. Allen Salkin‘s recent From Scratch: The Uncensored History of the Food Network was named as one of NPR’s top books of 2013. His writing can be found in The New York Times, Food Republic, Slashfood, and Yoga Journal. Allen has worked a number of odd jobs, including wholesaling rubber duckies in Las Vegas, picking oranges in Crete, and peddling oil paintings door-to-door in Western Australia. You may also have seen him on E! Entertainment Television’s #1 Single with musician Lisa Loeb. David Rosengarten is a renowned journalist, television personality, and author of six cookbooks. 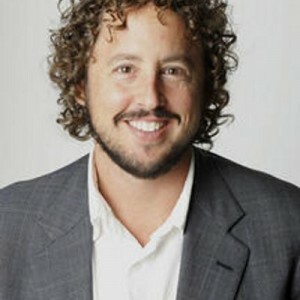 One of the pioneers of The Food Network, David had the first show ever on The Food Network, 2500+ shows. David has shared his food and wine knowledge with Gourmet Magazine (where he was Restaurant Critic from 1996 to 2000), The New York Times, Food & Wine, Bon Appetit, Harper’s Bazaar, Departures, The Wine Spectator and Newsday. TK RELAUNCH OF THE REPORT. 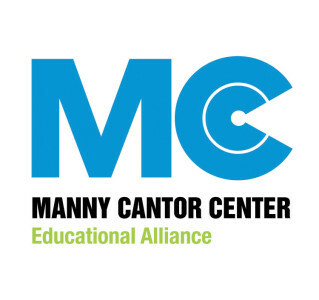 Manny Cantor Center was inspired by the life of its namesake, an industrious Polish immigrant who came to the U.S. to make a better life for himself and his family, the Manny Cantor Center is a gathering place and an inspired space for the entire community to learn, to laugh and to connect. Offering exciting events, award-winning programs, and critical services for people ages 0 to 100+, the Center is a hub of diversity and inclusivity, of health and fitness, of education and of excellence. We strive to be a center of innovation, of serendipity and of fun. Founded in 1853, Louis Royer is an iconic Cognac house located on the banks of the Charente River in Jarnac, France. It is a revered producer of award-winning Cognacs, including VSOP, high proof and XO expressions. In 2013, Louis Royer “Force 53” VSOP Cognac received a “Best in Show” Double Gold Medal at the San Francisco Wine & Spirits Competition and the house’s XO was awarded a Gold Medal. In addition, XO was named among the World’s Top 120 Spirits by Paul Pacult’s renowned The Spirit Journal. Master Blender Laurent Robin works closely with Master Selector Jérôme Royer, a fifth-generation family member, together with Master Distiller Monia Martin, to meld together fine eaux-de-vie to create Cognacs of remarkable complexity and approachability. They exemplify the house’s bee emblem that symbolizes its passion for work, organization and commitment. Ideasmyth Inc. is the brainchild of the indefatigably energetic native New Yorker, Victoria C. Rowan, whose previous professional lives included founding the multi-million-dollar education division of Mediabistro.com, artistic programming of the greatest living writers for the 92nd Street Y, writing for dozens of publications, websites and public radio. Since 2000, Ideasmyth has mentored and supported nearly 1,000 clients in creating and cultivating their endeavors, increasing their brand exposure and achieving their most important personal and professional life goals including many critically acclaimed books, theater, websites and other multimedia projects. www.Ideasmyth.com. Posted in Book Biz, Food Ideas, Good Ideas.